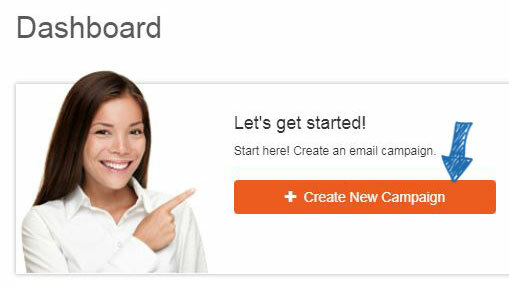 To create a new email marketing campaign, click on Get Started from the Email Marketing Dashboard or go to the Campaigns section and click on Create Campaign. For some helpful tips on creating email campaigns, check out some best practices for email marketing. Enter a name for the campaign. The name of the campaign will not been seen by the recipients, so it is suggested that it be something easy to remember. The owner name will be automatically filled in based on the ESP User account and cannot be edited. The owner will receive all notifications and replies related to this campaign. 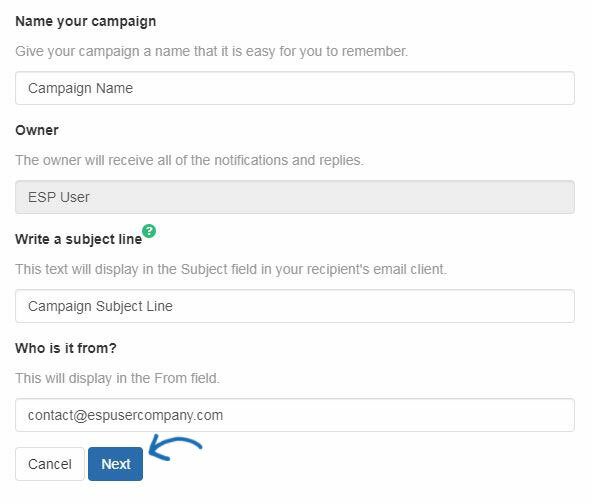 Next, enter the subject line for the email and the email address that should be displayed in the from field. When you are finished entering information, click on the Next button. Select a template from the available options. Hover on a template to view a thumbnail preview and then click on the one you would like to use. After selecting a template, you will be automatically brought into the template editor, where you can fully customize the template for your campaign.